Our new blog is now here - www.paws-on-the-run.ca/blog. Hope to see you there! 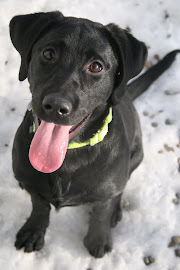 Minneapolis NYC Doggy Daycare & dog boarding. Also professional puppy training, dog grooming, and webcams! Downtown NYC Doggy Daycare and boarding pet hotel. Does your dog need to learn some manners? Bring him/her to this basic obedience class to learn the basics like how to sit, lay down and stay along with how to walk politely on leash, how to come when called and how to greet you, and visitors nicely. Our sessions start every 2 months. Please e-mail us at info@paws-on-the-run.ca if you want to be put on our waiting list!